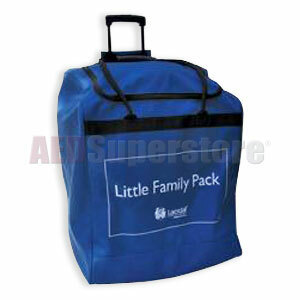 Carry Bag for Little Family Pack. Has wheels and folding handle for easy transportation. Bag measures 25"h x 19"w x 16"d.